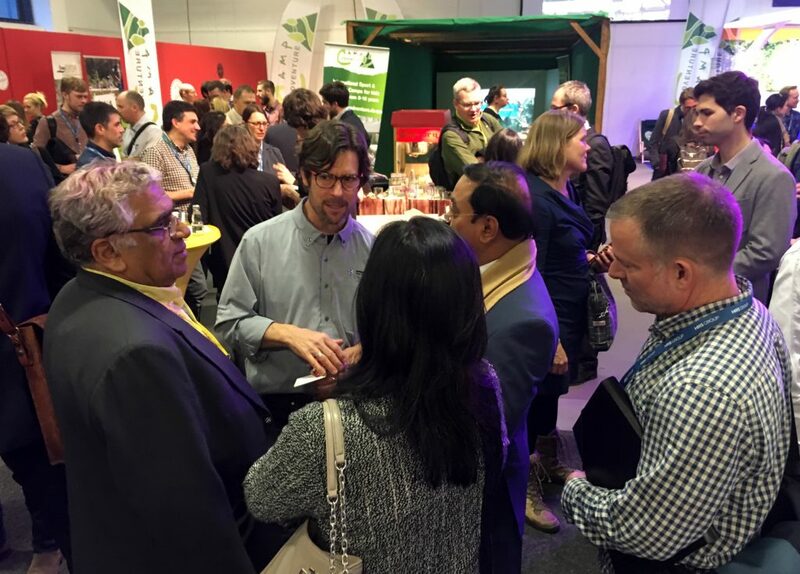 Conversations surrounding adventure tourism at ITB Berlin have progressed noticeably since the Adventure Travel Trade Association’s (ATTA) first appearance at the enormous global trade fair in 2006. Once revolving around the question “What is adventure travel?” and endless debates about the merits of sustainable tourism, discourse has now evolved to be more about how, not whether, to implement actionable, responsible adventure tourism plans with measurable impact. Concurrently, sheer participation at ITB Berlin’s 7-11 March 2018 Adventure Travel & Responsible Tourism Hall, which was at capacity, also reflects intensifying destination interest in the adventure and nature-based tourism sectors. Whereas 10 years ago, the hall was sparsely filled with a random collection of exhibitors, this year’s hall was sold out and brimming with activity and sector-appropriate exhibitors — including the largest showing of destinations to date. For years, ITB has indicated the ATTA’s growing community and rising influence has directly contributed to the heightened interest. Furthermore, demand for meetings with the ATTA team at this critical annual gathering has blossomed. ITB has become one of the ATTA’s most productive external trade events. 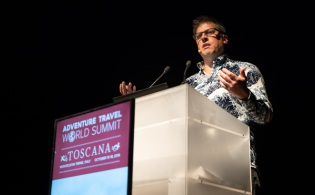 To meet the needs and expectations by the global travel industry, the ATTA’s nine-member team (ATTA’s largest team attending ITB to date) participated in more than 100 pre-scheduled meetings and delivered one of its best attended AdventureConnect events. 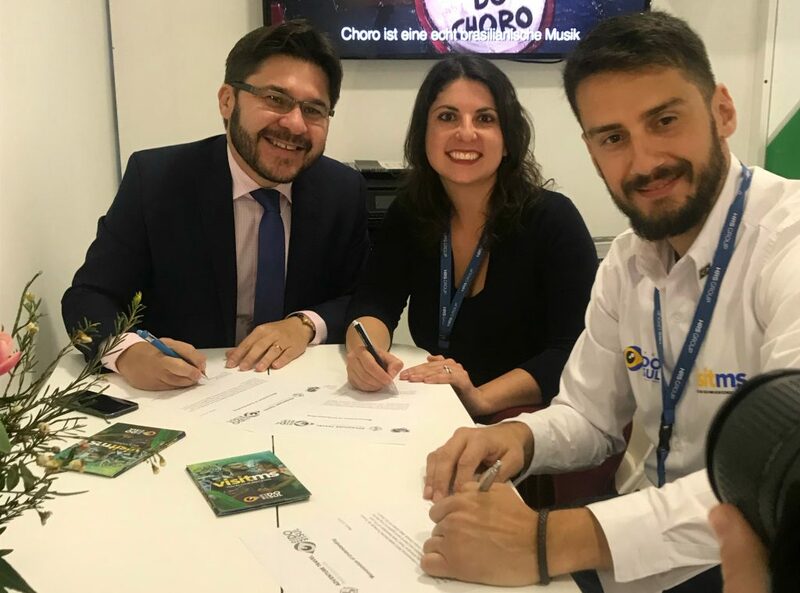 During ITB Berlin, Gabi Stowell, the ATTA’s regional manager of Latin America, signed an agreement with Brazil’s Embratur and Fundação de Turismo de Mato Grosso do Sul confirming the inaugural AdventureNEXT Latin America. The November 2018 event will be open to all regions of Latin America and held in the state of Mato Grosso do Sul. In addition to engaging with destinations from five continents to explore multi-year, layered development plans, team members held an array of meetings with global financial institutions, donor agencies, and sustainability and carbon-offset representatives, as well as associations, universities, media companies, and national commerce agencies. Such purposeful and diverse appointments, in aggregate, is indicative of the expanding reach and influence of the ATTA community and deeper integration of the many parties interested in an accelerated path toward a more responsible future for the tourism industry. Many of the ATTA’s discussions with destinations and global organizations have matured and are increasingly shifting toward solutions about how the global adventure tourism community can collectively advance tourism from a largely extractive industry to one that has the potential in very real terms to become a regenerative and healing — as well as profitable — force. With sights set on assisting adventure travel stakeholders to accelerate adoption of best practices in responsibility, the ATTA held its annual AdventureConnect event on Thursday evening, 8 March, with the Kiso Ontake Tourism Office’s support. More than 350 registered professionals from the travel industry representing more than 70 nations from around the globe attended the event. There, the ATTA’s Milena Nikolova, who oversees AdventureEDU and is recognized throughout the industry for her expertise in innovation, knowledge transfer, and consumer behavior, delivered a special presentation focused on trends and innovations. More than simply reporting on trends, Nikolova led an AdventureConnect effort to convey why it is so important that the adventure travel community actively participates in shaping trends instead of passively adjusting to them. 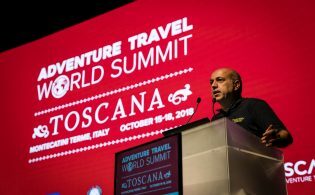 Her timely presentation was delivered just as the ATTA released its latest study, which projected the international adventure travel market has risen in value to approximately $683 billion USD (estimated at $89 billion USD in 2009). Recognizing that, and with a larger share in the global tourism industry, the ATTA holds more potential influence in furthering responsible growth within this market segment and the impact it generates. With this in mind, during the AdventureConnect activity at ITB, participants were encouraged to initiate a dialogue about opportunities for market success fueled by new developments and solutions, as well as the realistic chances for addressing the industry’s leading challenges through innovation and collaboration. And, despite challenges of the noisy, in-hall venue, those who dove into the AdventureConnect exercise recognized the value and importance of the program’s focus. 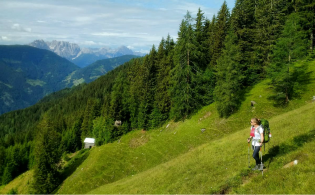 In addition to this AdventureConnect activity, the ATTA recognized International Women’s Day and shared four of its strategic focuses in 2018: women’s leadership in travel, carbon offset, eliminating single-use plastic water bottles, and young leaders. The ATTA also highlighted its upcoming events around the globe in 2018.